Orchard Park Police are trying to locate a runaway juvenile. Georgia Culp, 15, was last seen in the area of Squire Drive at Independence Drive around 6PM last night. If located, please call the Orchard Park Police at 662-6444. 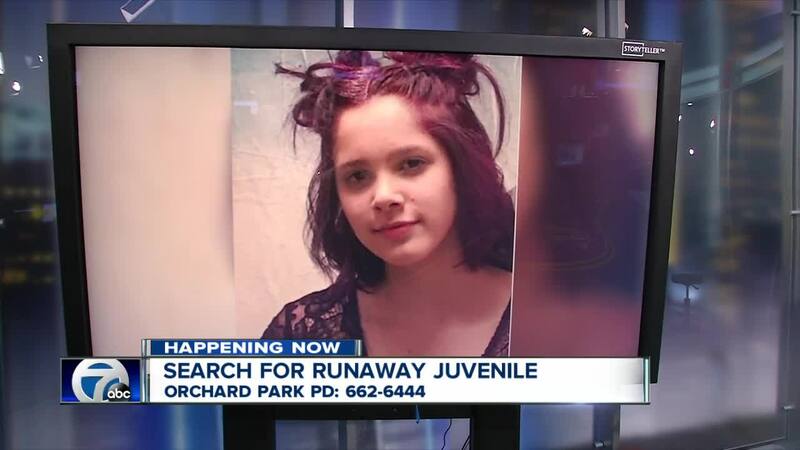 ORCHARD PARK, N.Y. (WKBW) — Police in Orchard Park have located a runaway teen. They first alerted the public early Monday morning to the fact that 15-year-old Georgia Culp ran away. They said she was last seen around Squire Drive and Independence Drive around 6 p.m. Sunday. Police then announced just after midnight Tuesday that she had been found. They did not say where she was found, but thanked those who assisted with tips and information.